See coupon page below for other specials! Tee Time required. Valid from 6:00 AM. Not valid for league or tournament play. Golf Season April 1 to November 30. 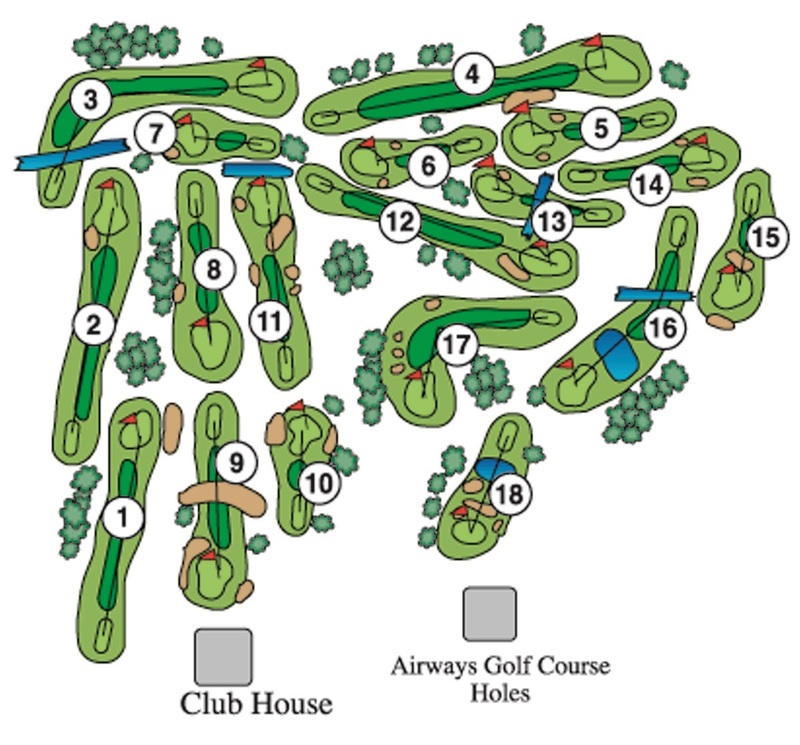 We have an 18 hole, fun to play golf course, at Airways Golf in West Suffield CT.
Click on the lines in the map below for more info and a picture of each hole from the back tee. Click on dots for view back from the green. $16.00 per player Tee Time Suggested. $20.00 per player after Noon Tee Time required.